We can all agree that coffee is best consumed warm, but what of those times when you are unable to prepare a fresh batch of coffee? It is for this particular reason why insulated coffee mugs were invented, so as to enable you to enjoy your flavorful coffee at any given time during the day, long after preparing it. Contained in a quality insulated coffee mug, coffee can be kept at a warm, pleasant temperature for hours at a time, which explains why these mugs are so popular these days. Regardless of their brand or construction, most such coffee mugs can be used to store coffee over extended periods of time. Depending on its built, one can even serve additional purposes, or be used to store other beverages that are a bit more difficult to store. In principle, however, a good insulated coffee mug should keep coffee at a pleasant drinking temperature for up to 6 hours or more without any additional effort on your part. Having said that, let us point out that not all coffee mugs are built to the same standards, not in the very least when it comes to insulation and ease of use. It is for this reason that you should perhaps take the time and figure out what makes a good insulated coffee mug and what characteristics to look for when buying one. To give you some pointers on the matter, we put together a list of the ten best insulated coffee mugs the market has to offer at this point in time. The Sammons Preston Insulated mug has a no-spill lid, a sturdy base, and an easy-grip handle. In fact, its design is approved for use even by the disabled, handicapped, or elderly, a convenience that recommends it for a wide range of uses. The mug can keep cold drinks cold or hot drinks as you need them for several hours. As such, it is one of the easiest-to-use, leak-proof mugs featuring a high-quality insulation and a convenient handle for an enjoyable, mess-free coffee drinking. Furthermore, this insulated mug is BPA/latex/phthalates-free and dishwasher-safe up to 180 degrees Fahrenheit. The GAMA ThermoServ Coffee Mugs boast a functional double-wall insulation that, along with a unique foam filling, make them far much superior at preventing drink against temperature loss or gain over extended periods of time. They can thus keep your coffee perfectly hot or cold for hours. Their rugged construction is dishwasher and also microwave safe, a convenience that you won’t find in many other such mugs in this price range. Each mug has a leak-proof lid that snaps on tightly, preventing loss of coffee flavor, and a convenient handle for a safer drinking experience. This is one of the sturdiest coffee camp mugs you can get nowadays, one that features a full-loop Tri-Grip handle ideal for even wider hands, ensuring a convenient, enjoyable drinking experience. Its double-walled vacuum insulation preserves the temperature and freshness of your either hot or cold drink for quite long and also ensures no sweating on the exterior. The mug also has a scratch/fade/peel-resistant finish, and it is simple to clean in any way you see fit, even with a dishwasher. On the interior, the Maars Insulated Coffee Mug features extra-thermal copper lining for even temperature retention, keeping your drink hot for more than 3 hours or cold for approximately 9 hours. It is made of safe stainless steel and features a durable, easy-grip handle for added user convenience, while a double-walled vacuum insulation ensures condensation-free/sweat-proof exterior. A wide, simple-design mouth includes a rubber gasket and a no-BPA sip lid for convenient drinking as you travel. The FineDine FD-S501 is a 14-ounce durable coffee mug with a convenient handle. It is made of food-safe, heavy-gauge, premium matte stainless steel that is 100% rust/dent/shatter-resistant. 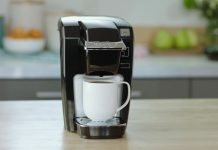 Its double-wall insulation keeps your coffee hot/cold for long periods of time while its leak/spill-resistant lid is simple to open/close thanks to featured dial opening, a feature that also makes it simple to remove for easier cleaning. Moreover, it is a dishwasher-safe unit by all accounts. The Contigo Extreme is a 16-ounce, vacuum-insulated quality stainless steel travel coffee mug with a handle and ideal for preserving drinks hot for 4 hours or cold for 12 hours. It has an improved, new pull-tab lid that is 100% leak/spill-proof. At the same time, the handle it comes equipped with integrates a carabineer clip allowing you to conveniently take the mug anywhere you go by attaching it to your bag strap. Moreover, the mug benefits from a modern, sleek texture grip for elegance and easy holding, while also being designed to fit most car cup-holders. Made of highly durable stainless steel, the Avito AV357 is a quality pair of easy-to-clean mugs that withstand regular abuse for a surprisingly long amount of time. They feature a sturdy welded handle for a greater user convenience. We should also point out that their double-wall insulation offers an air seal for keeping coffee hot or cold for several hours. The outside is cool-to-the-touch and it does not sweat if carrying iced drinks. It also has to be said that the lid is made of 100 percent food-grade, BPA-free silicone, while the tumblers rust-resistant brushed stainless steel is aesthetically elegant. The Contigo’s Randolph is seen as among the best insulated coffee mugs out there, thanks mainly to its convenient handle. An integrated AUTOSEAL technology ensures 100% zero spills/leaks, while a Therma-Lock vacuum insulation helps keep your coffee cold for 12 hours and hot for over 4 hours. Not only that but its lid opens completely to allow for an easy cleaning. Besides an easy push-button opening/closing for one-handed drinking, the Randolph AUTOSEAL also has well-designed drink spouts on its both sides, offering left or right-handed drinking options depending on your needs. This 20 OZ coffee mug by Chill Cups will keep your coffee hot or cold as you need it for hours to come and does so while adding a comfortable-to-hold handle for a more safe and enjoyable drinking experience. An innovative insulation prevents your coffee against softening, preserving its great taste for an impressively long amount of time. We should also point out that its design is also compatible with most car cup holders, while its lid fits tightly to ensure zero leaks or spills. Since it has a premium-grade double-wall vacuum insulation, the exterior remains cool-to-the-touch at all times and also remarkably sweat-proof. 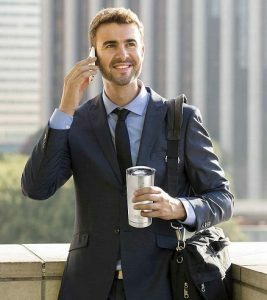 Perhaps one of the best-rated models in this category, the Thermos SK1000 Travel Mug features a proprietary vacuum insulation technology that offers an optimum temperature retention. This particular coffee mug preserves drinks hot for 5 hours or cold for up to 9 hours at a time. It is also made of durable stainless steel, with an exterior built to be cool-to-the-touch and also sweat-proof in most weather conditions. Furthermore, an integrated tea hook secures tea bags or other loose leaf infusers. Last but not least, besides its convenient handle, this mug is also car cup holder and single-serve brewer compatible. With so many different types of insulated coffee mugs to choose from, you might find it rather difficult to choose one that would meet all your requirements and still be affordable and practical enough to warrant the investment. In this respect, you should keep in mind that not all insulated cups and mugs share the same standard of insulation, nor can they all be expected to be just as durable or easy to wash. 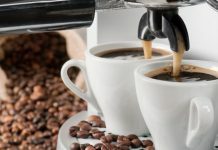 It is for this reason that we should perhaps delve into the characteristics of a good insulated coffee and the features one should consider when buying one. The first thing you want to consider is the heat retention; mostly its capacity to keep the beverage it contains at a relatively constant temperature over long periods of time. For the most part, an average insulated mug can maintain a beverage at a drinkable temperature for up to 6 hours or more, depending mostly on the temperature of the drink when you pour it into the container. To be more precise, such a mug can keep cold drinks at a relatively cold temperature for up to 9 hours whereas warm temperatures usually get cold after 3 hours or so. These times can rise, of course, if you’re going for a particularly well-made insulated mug hat enjoys a highly heat-retentive construction. Another thing you want to consider is just how well-made the mug is, and we’re not just talking here about its sturdiness. What you want is an insulated coffee mug that boasts an ergonomic design and yet is durable enough to withstand a fair amount of abuse before showing signs of damage. Not only that but you have to also look for one that will be easy to carry, either in a car or in a bag when traveling. A good insulated coffee mug should not take any damage from accidental knocks or if it falls from a table or car roof. You also want an insulated coffee mug that features leak-proof seals. Without proper seals, your mug can not only leak its contents but it will also lose heat much faster during the day, causing the beverage to spoil much faster than usual. Fortunately, the good ones boast tight seals that allow the mug to be turned upside down without the risk of leakage, meaning that you can carry them in your car or in any bag of your choice without the fear of causing any stains. We refer here to an insulated mug’s capacity to be held using just one hand or at least its ease of use in general terms. Ergonomy-wise, a good insulated mug should allow you to handle it using a single hand, in the sense that you don’t have to take its lid off using both of your hands at the same time. If possible, look for a mug with an opening at the top that you can use to sip its contents from time to time without takings its entire lid off. It is worth to mention that these mugs are usually quite pricey, at least when compared to your average coffee mug. It is also very important for an insulated coffee mug to be not only easy to use but also easy to clean. In fact, you should have no problems washing the mug in a dishwasher if you see fit but be wary because not all of them allow you to. The ones that are built with sturdy, durable materials usually enable you to wash them any way you want, whereas slimmer, lightweight plastic versions usually require that you wash them by hand. Taste Leaking – Bear in mind that plastic coffee mugs can leak a plastic taste into the beverage long-term, especially if you use them regularly and if you constantly store hot beverages inside the mugs. It may not happen when the mug is brand new, of course, but it is bound to happen over time as you repeatedly expose it to hot liquids. It has to be said that even sturdy, stainless steel mugs can leak a certain metallic taste but that it doesn’t happen nearly as often as it does with plastic mugs. What you want is a mug with an electro-polished interior which is designed not to interfere with the liquid you store within. Reheating – Another thing you want to keep in mind is that not many insulated coffee mugs can be placed inside a microwave oven. 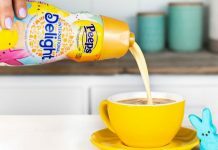 In fact, only ceramic, glass, and some plastic mugs can be heated in a microwave, and it is likely that they will give the beverage a certain ‘off’ taste in the process. With a stainless steel mug, you want to avoid this altogether for obvious reasons. Just to be safe, check with the product’s manual before subjecting it to any sudden or extreme changes in temperature. Brewer Compatibility – Some people prefer to use insulated coffee mugs with electric brewers to avoid using too many cups. In this respect, some of these mugs are a little too tall to fit into most single-cup brewers, so bear that in mind when you commit to a purchase. Alternatively, check to see if the mug employs a removable lid that might allow you to fit it into the brewer for this exact purpose, a design that not many such mugs have. Traveling – Although most insulated coffee mugs are designed to be taken on the road, not all employ the lids and handles you might need. This is especially true when it comes to low-end coffee mugs that tend to leak their contents if the mug is shaken or subjected to any form of abuse. If you take the time to scout the market thoroughly, however, you are bound to find travel-ready insulated coffee mugs that may or may not command a slightly bigger price tag.